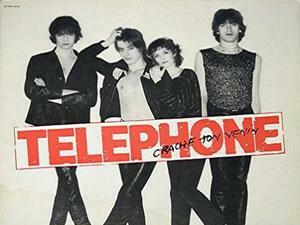 Téléphone is a famous French rock band. They have formed the band in 1976 and stayed together until1986. They made a lot of music like "Cendrillon" ("Cinderella"), "La bombe humaine" ("Human bomb"), "New-York avec toi" ("New York With You"), and more. I like their music, because I love rock music.